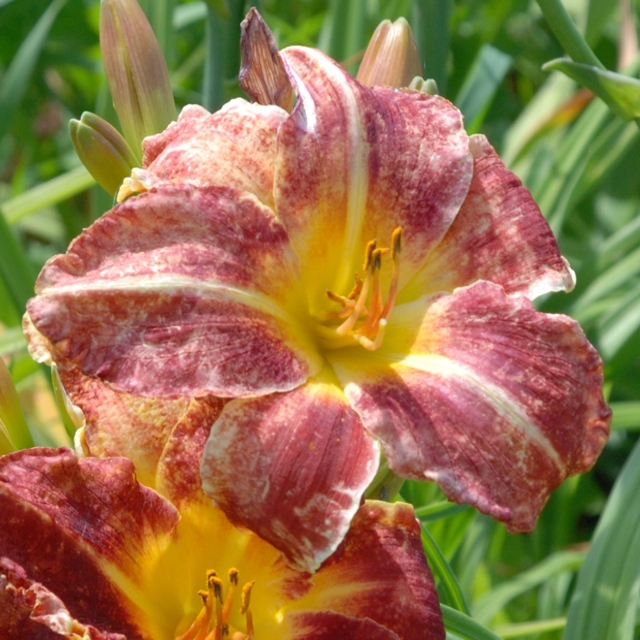 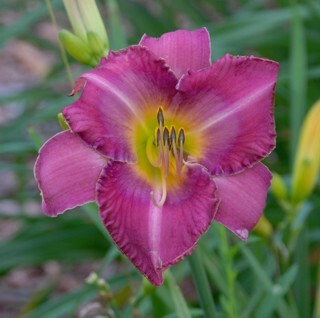 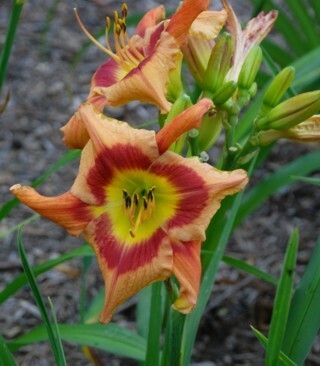 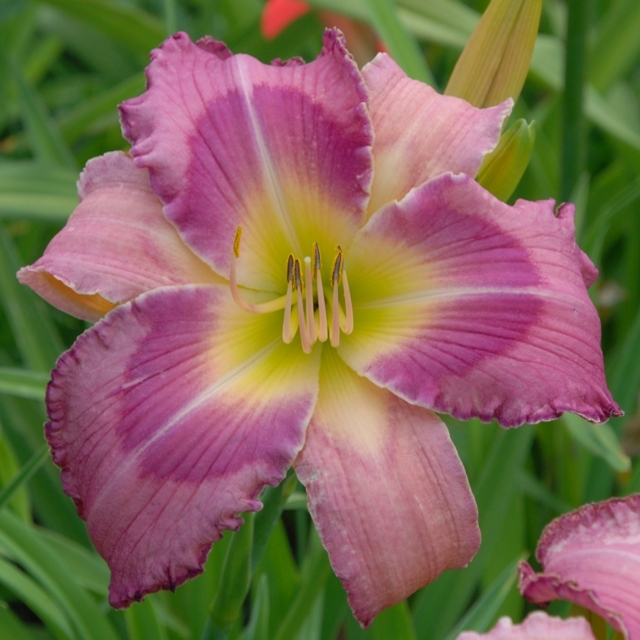 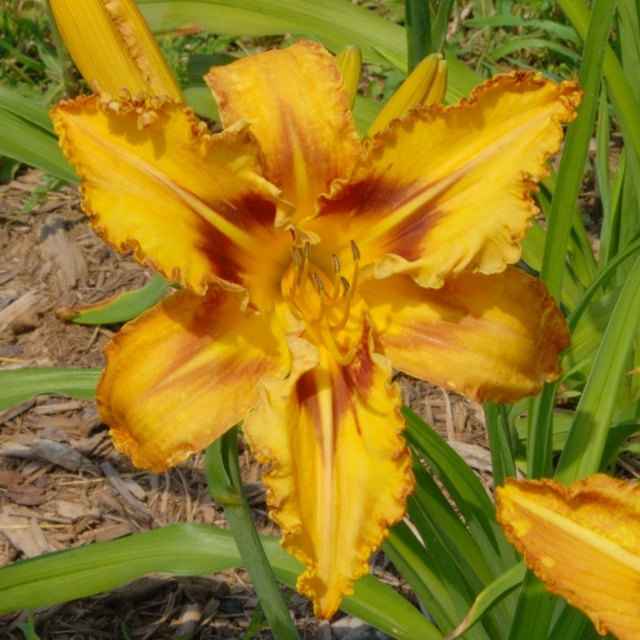 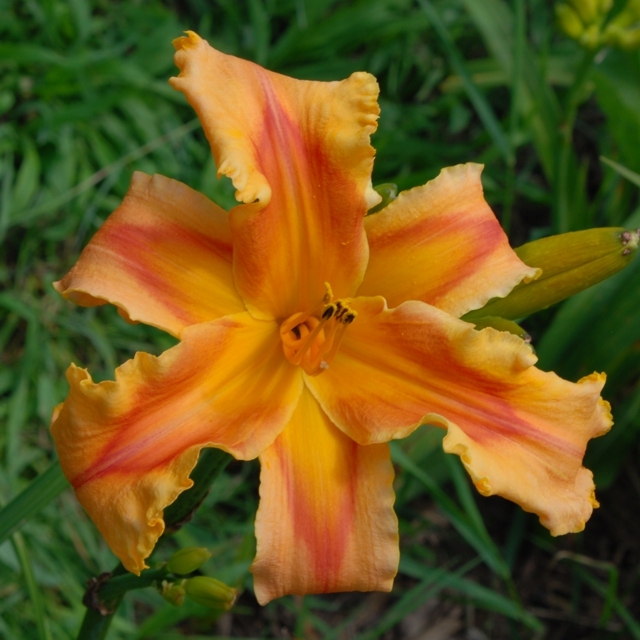 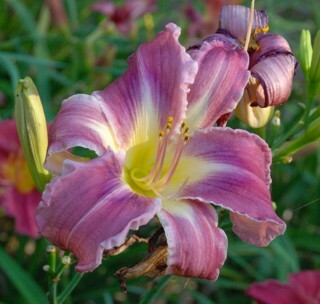 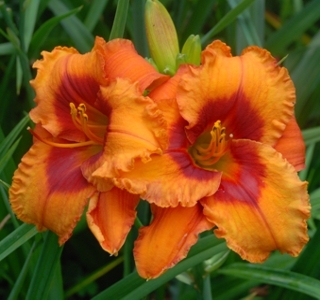 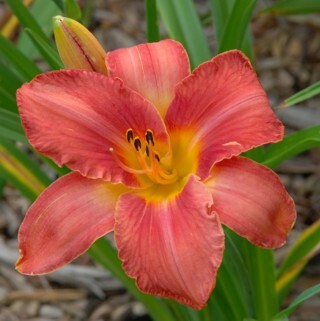 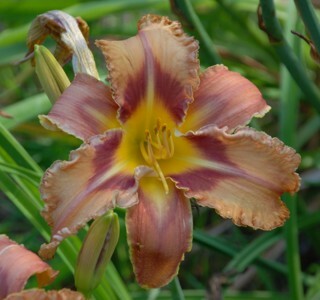 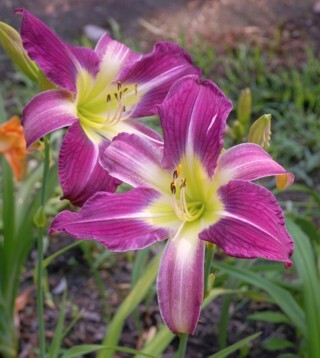 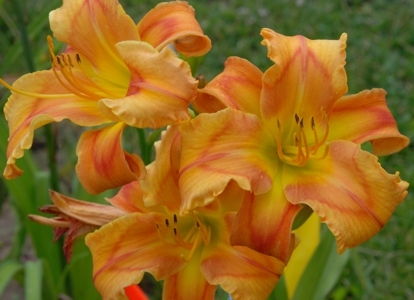 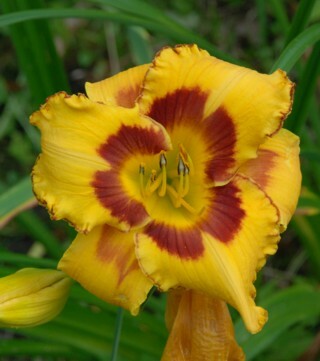 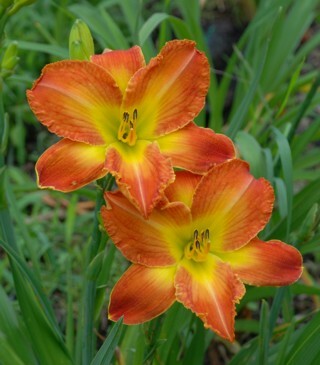 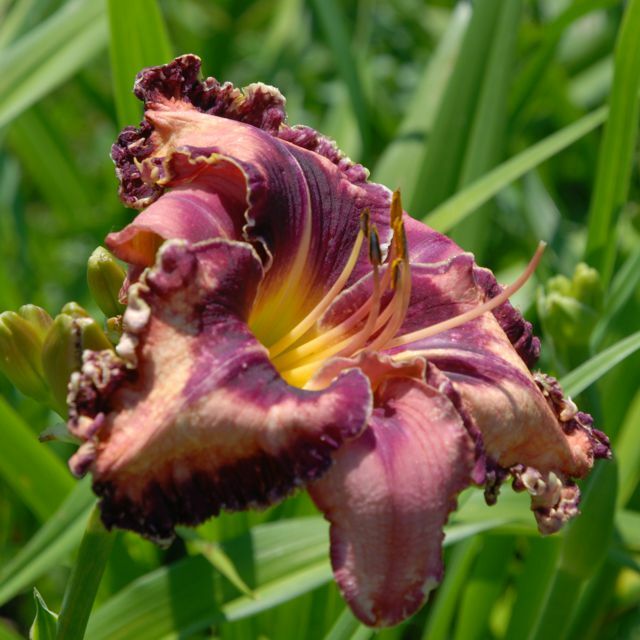 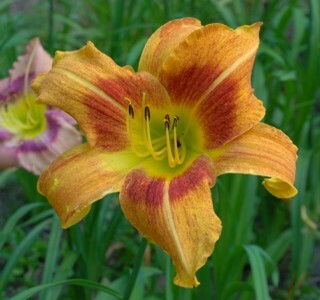 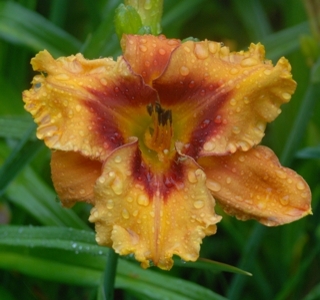 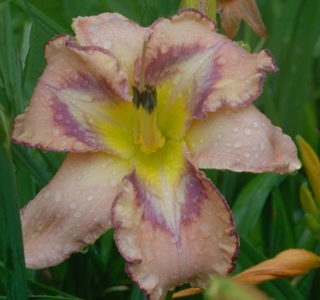 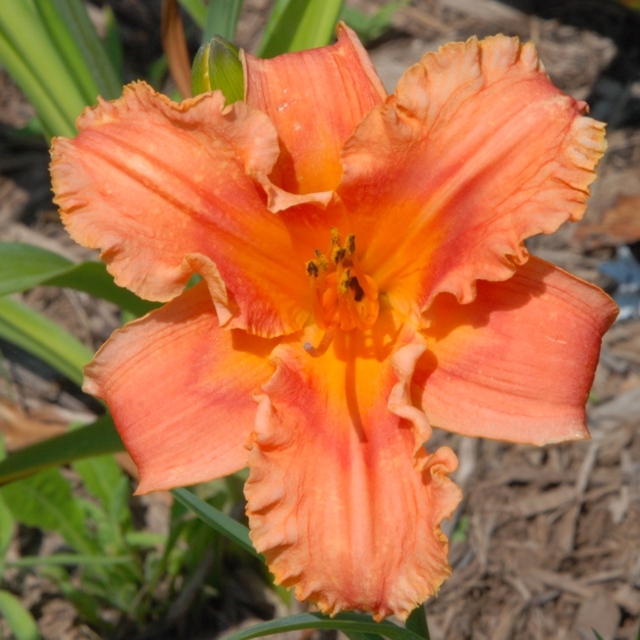 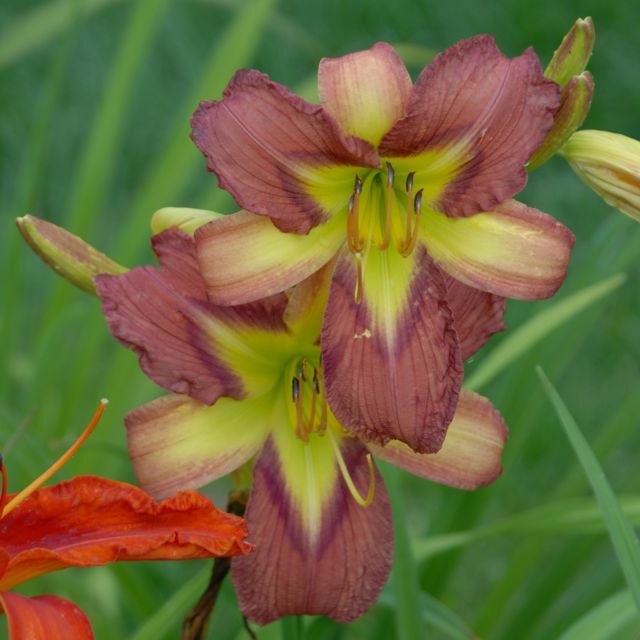 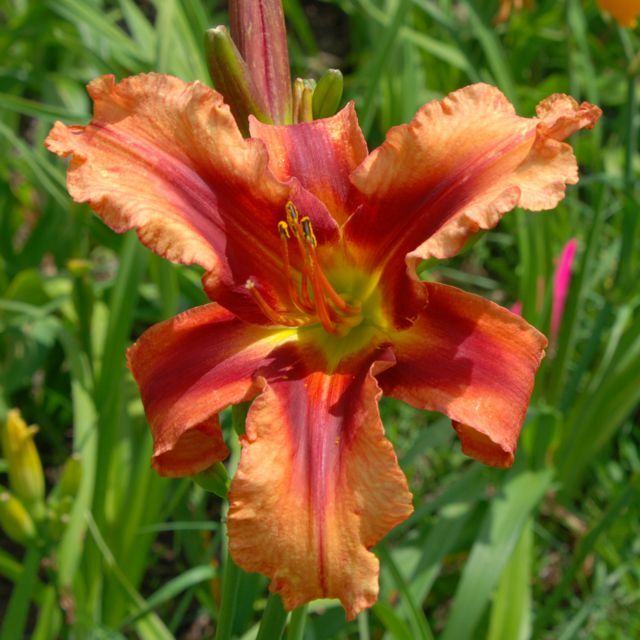 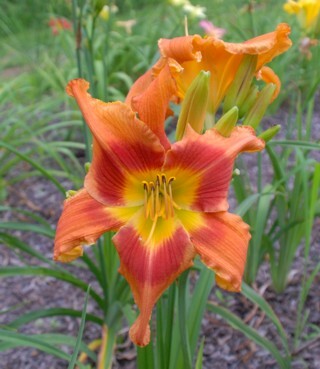 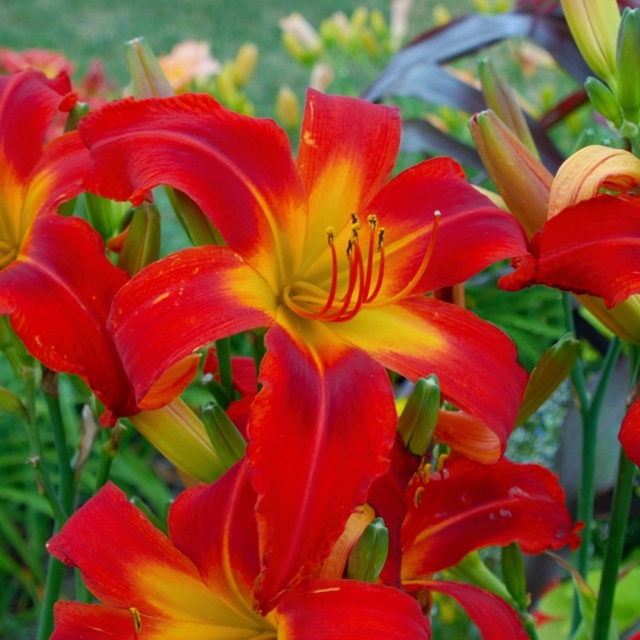 Dynamic Daylilies: 2000 - 2016 Photos of potential future introductions. 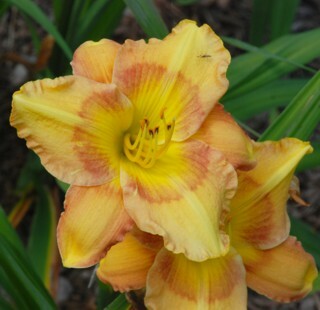 Here are some photos of our seedlings. 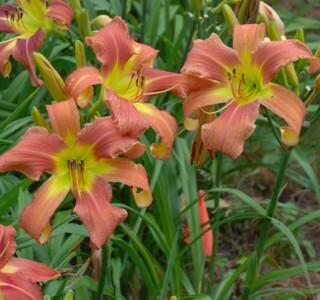 Note that most of these are single fans at present and will not be for sale for many years. 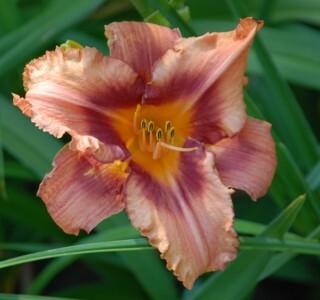 It takes about 10 years to have enough divisions to have enough to sell. 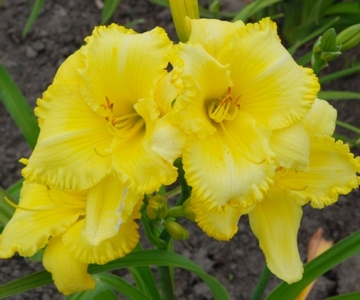 The older ones may have many fans or not - in general they have not been in ideal growing conditions so they divided more slowly than if we did fertilize and provide ideal soil. 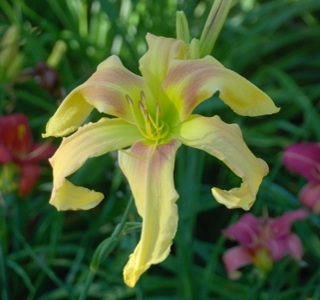 So some old ones still only have a few fans, yet some will have many fans and I would be able to sell some. 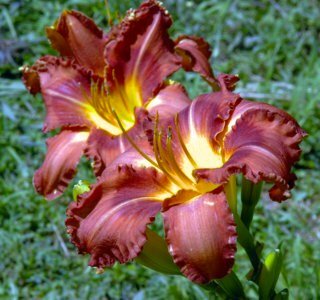 If you see one you love, ask. 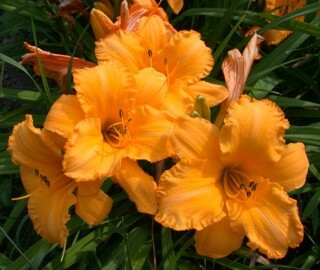 If I have enough fans, they will be available at $100 per fan. 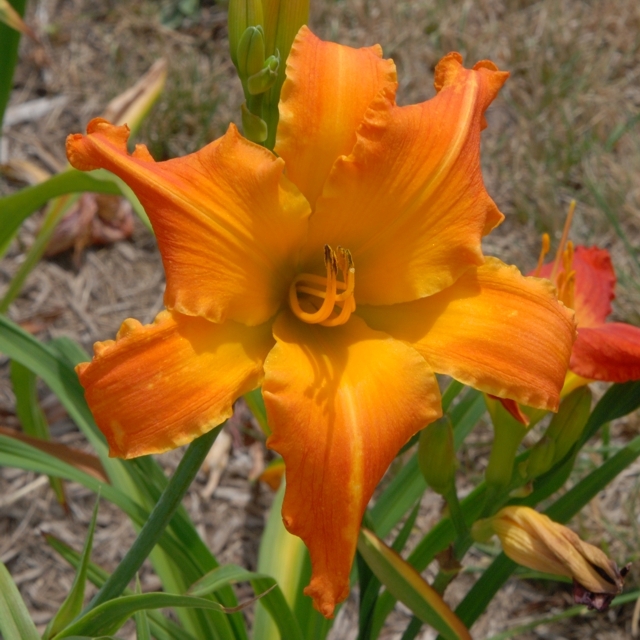 Note that most flowers are 6 inches or larger, on stalks usually in the 24 to 36 inch height range. 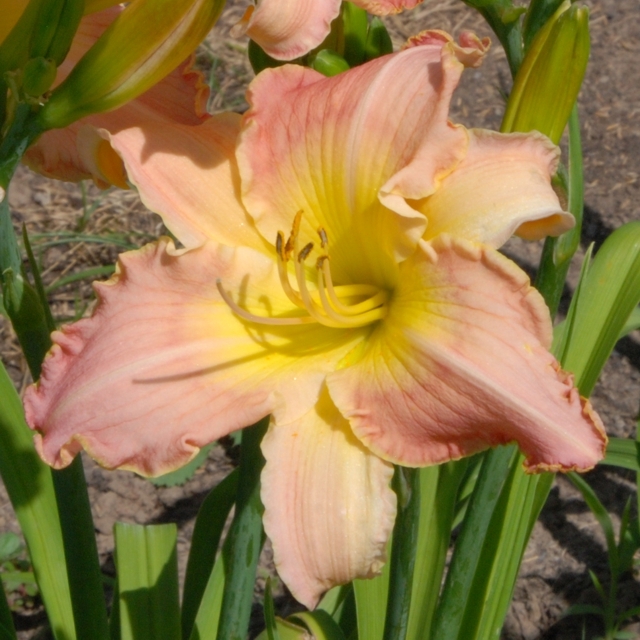 NOTE: the colors of the newer ones look much brighter than the earlier varieties. 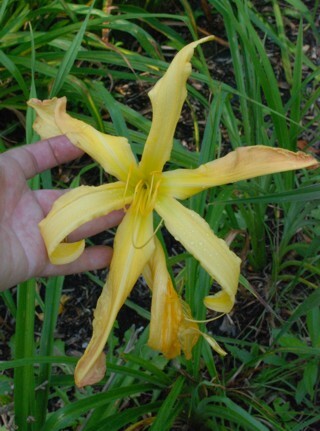 THIS IS REAL. 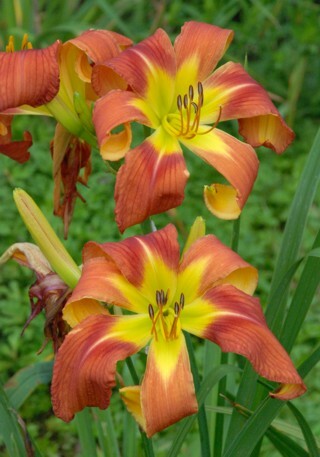 They are actually much brighter since that is one characteristic I am breeding for. 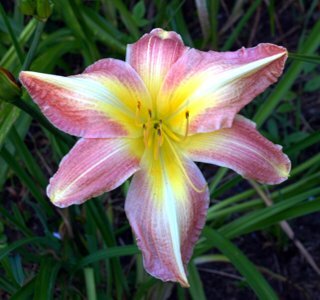 ALL of these photographs have been taken in sunlight with the SAME CAMERA. 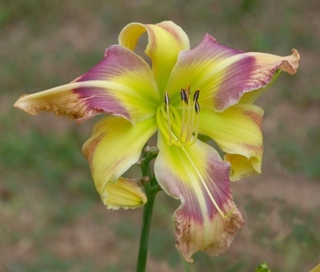 I use a Nikon D80 which produces nearly exact color on one setting - what I see on the computer looks like what I see in the gardens. 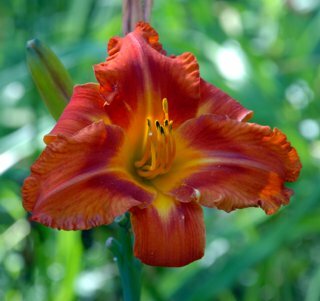 Ontario Daylily Society’s 2017 LYCETT AWARD WINNER – Best Unusual Daylily – These tied for the award. 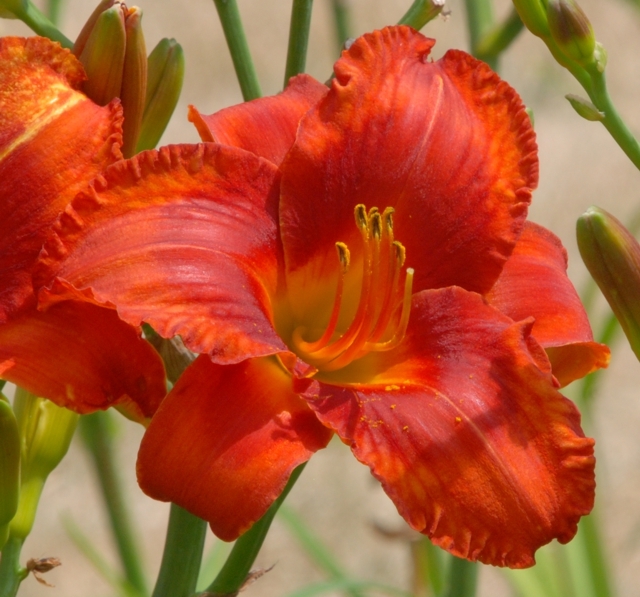 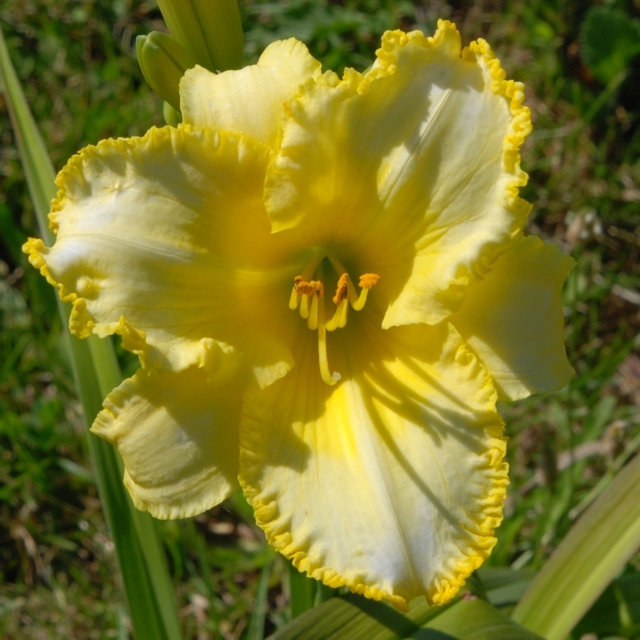 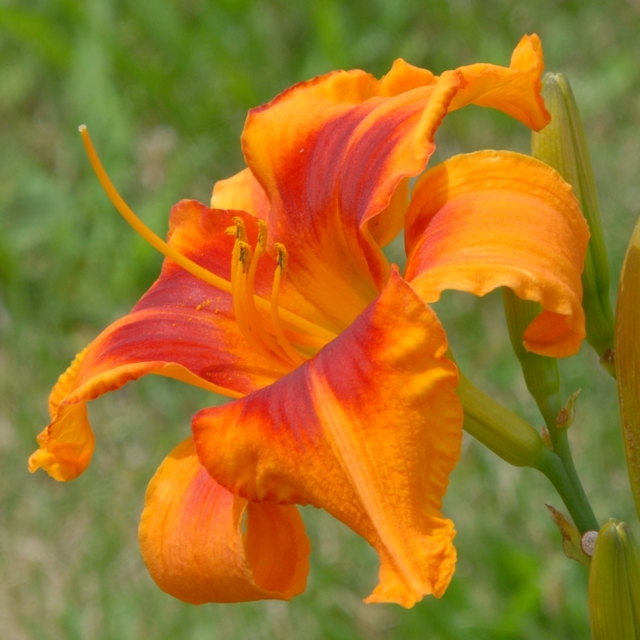 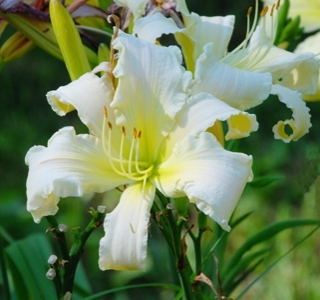 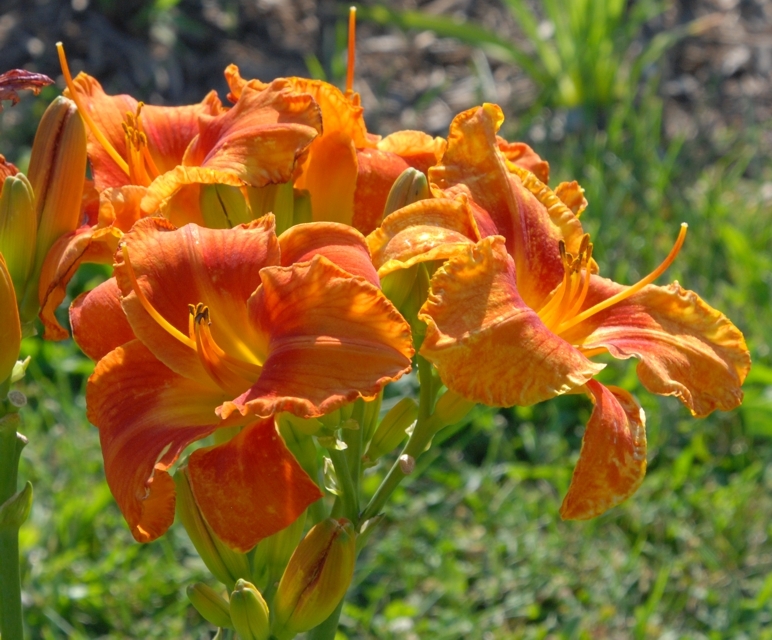 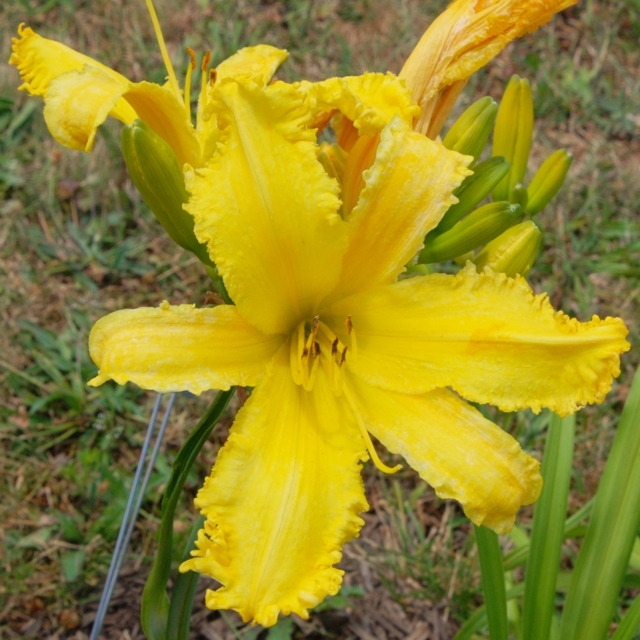 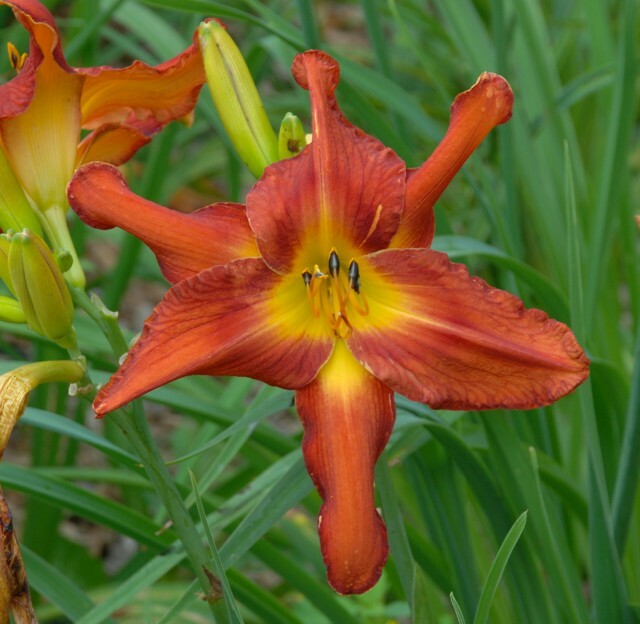 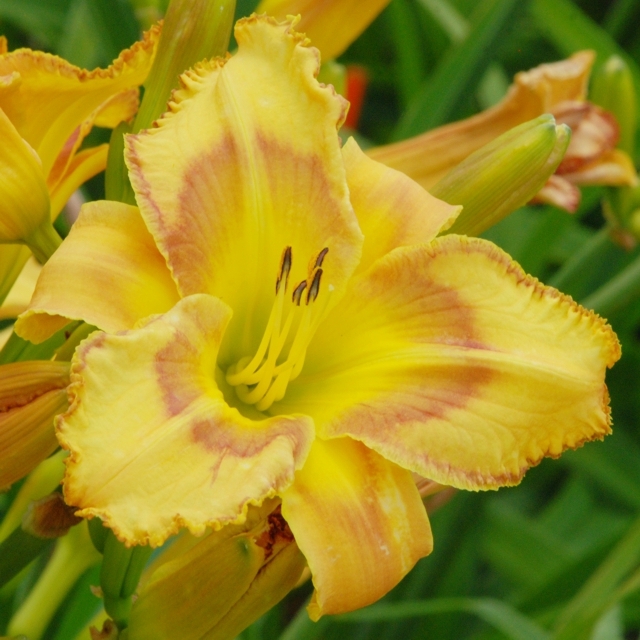 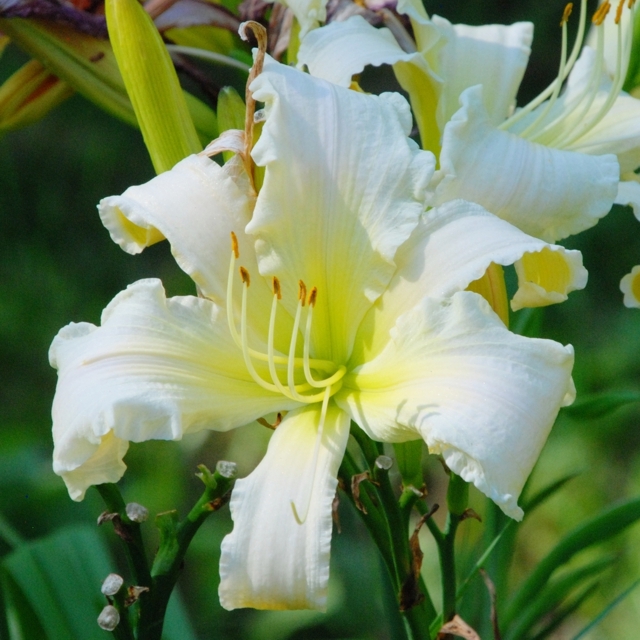 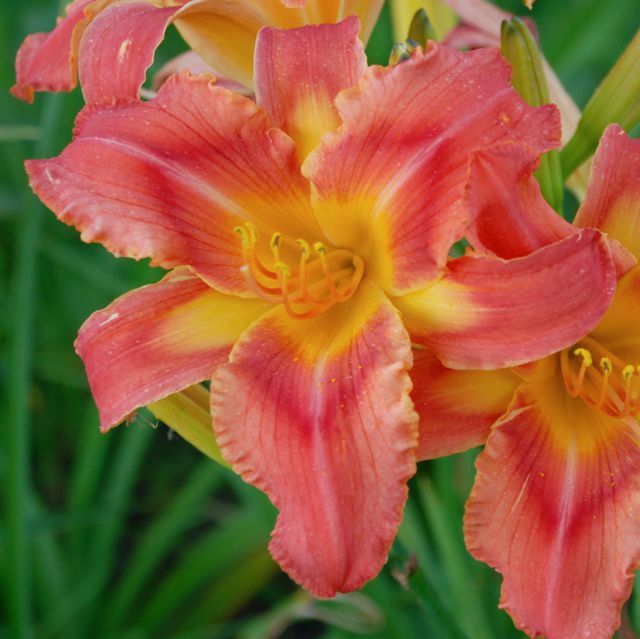 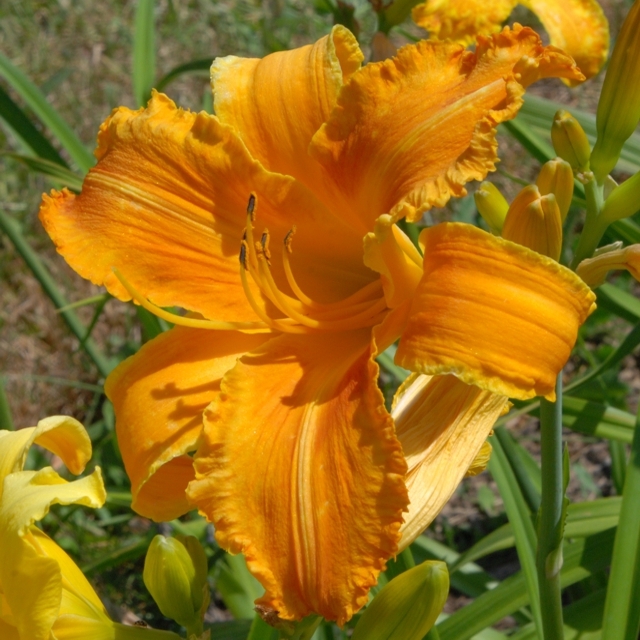 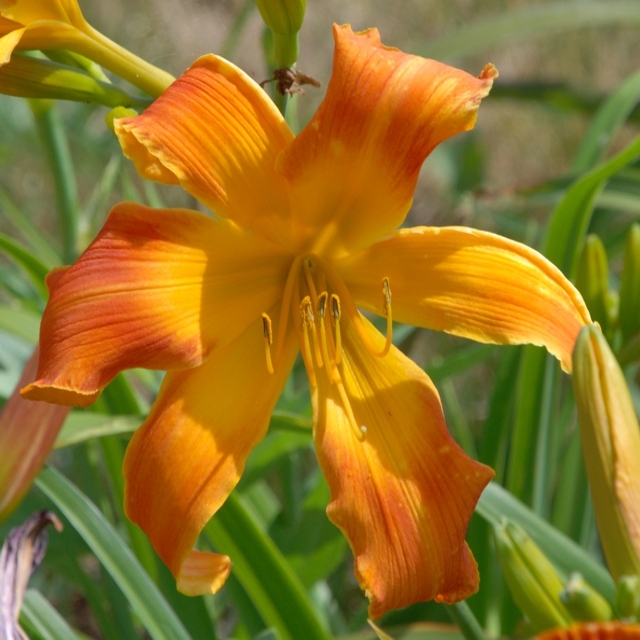 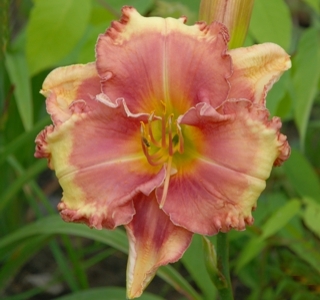 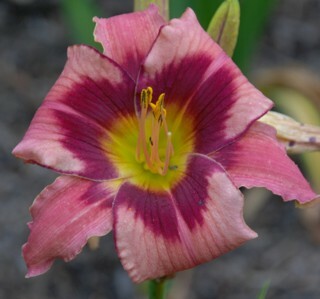 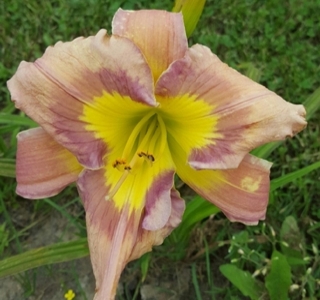 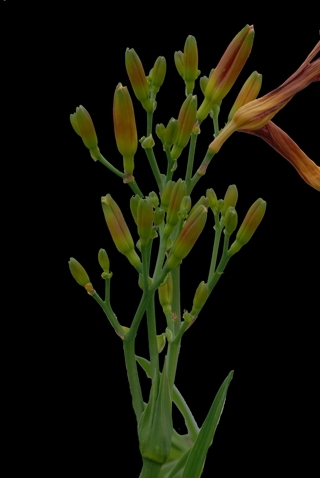 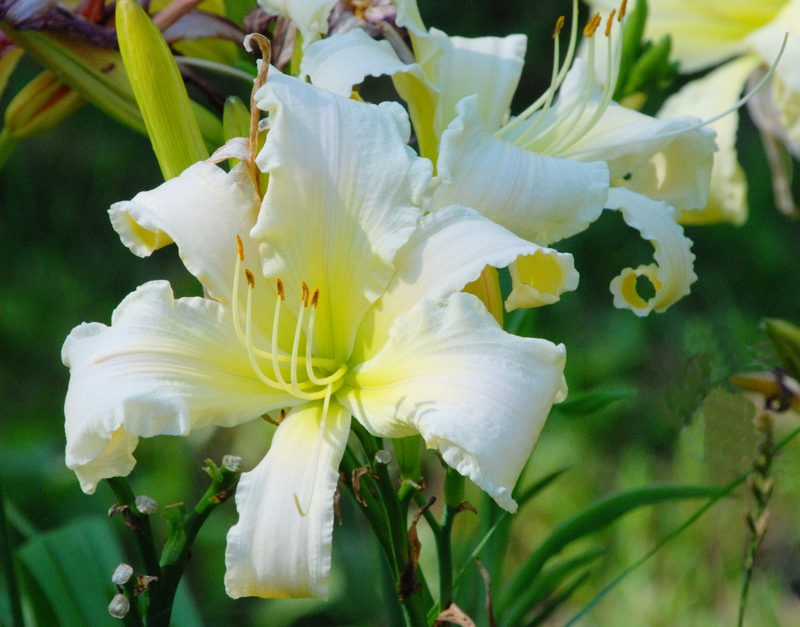 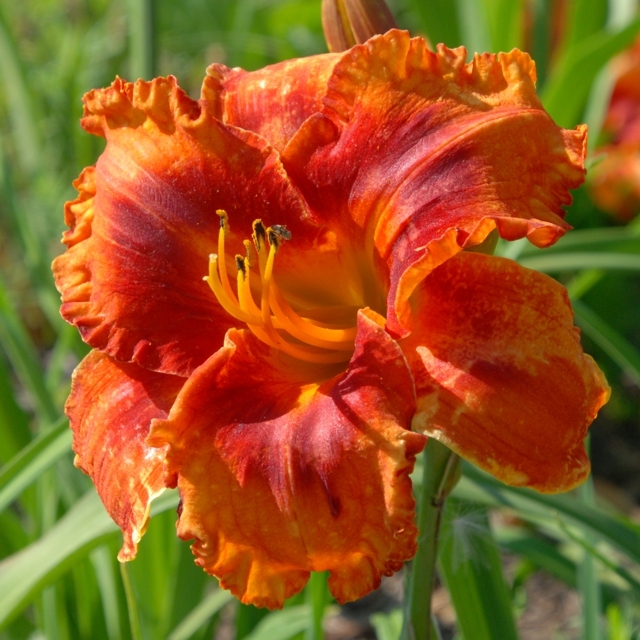 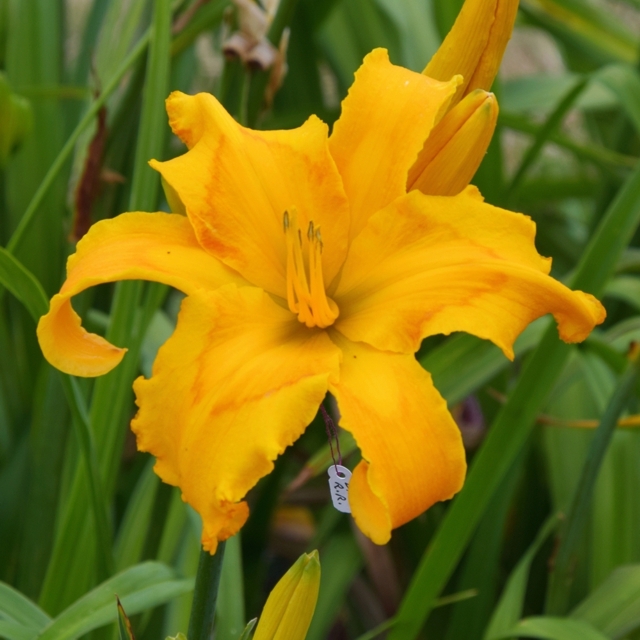 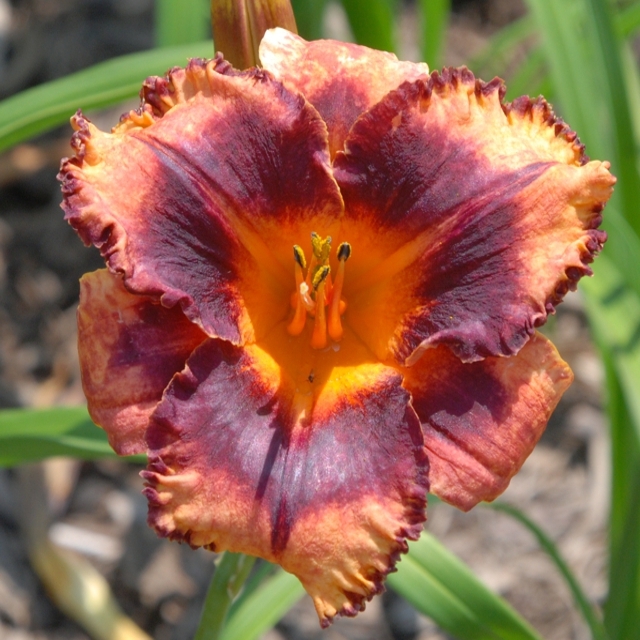 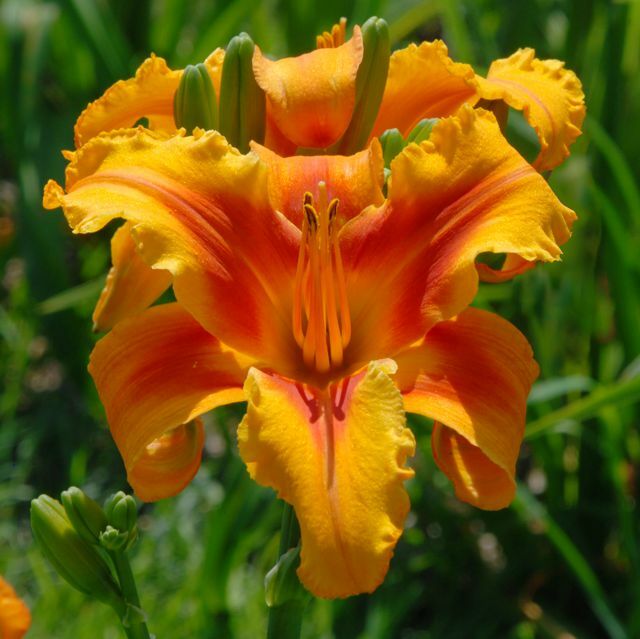 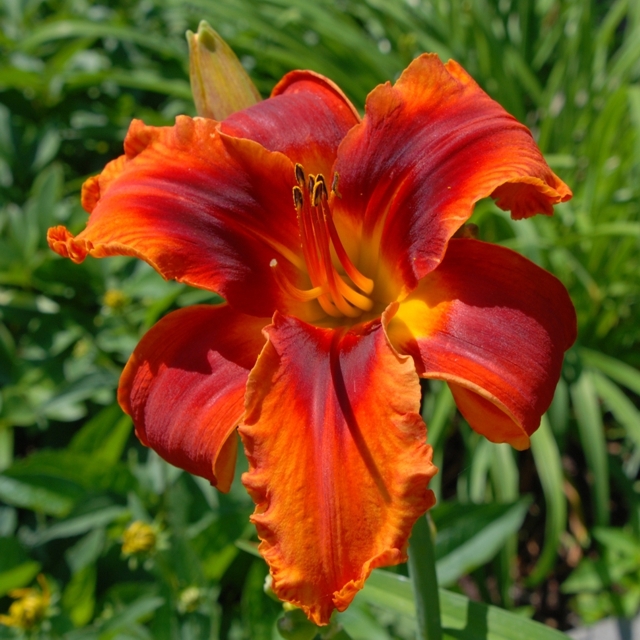 Ontario Daylily Society’s 2015 LYCETT AWARD WINNER – Best Unusual Daylily. 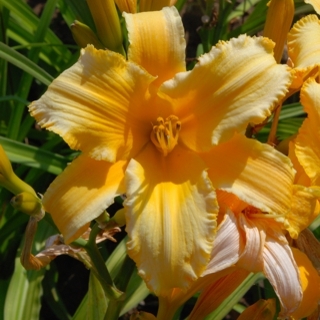 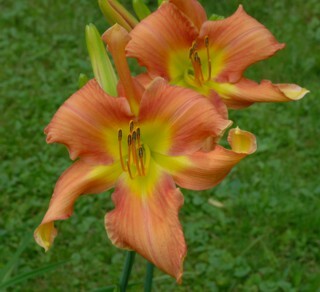 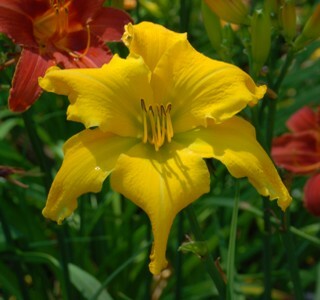 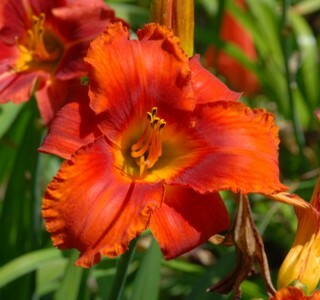 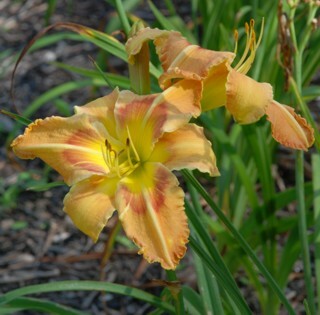 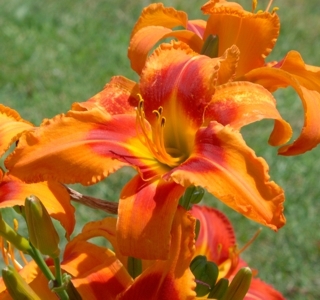 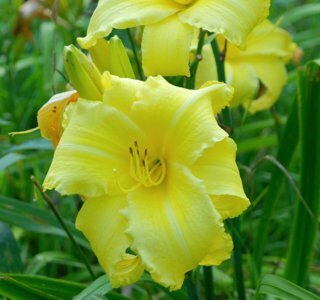 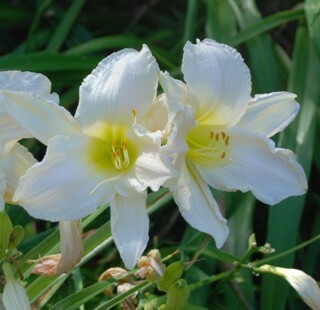 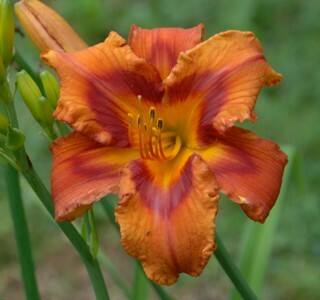 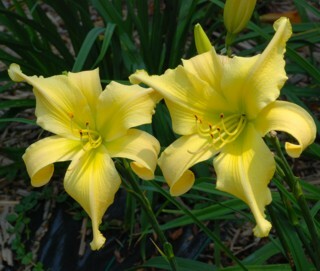 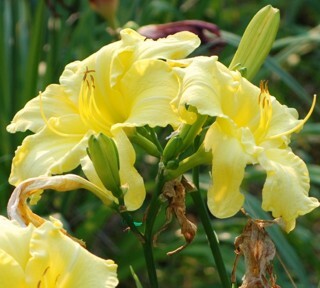 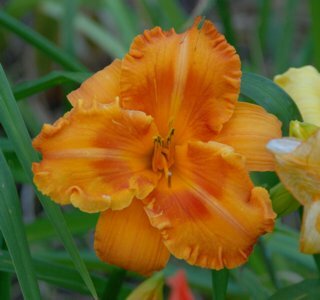 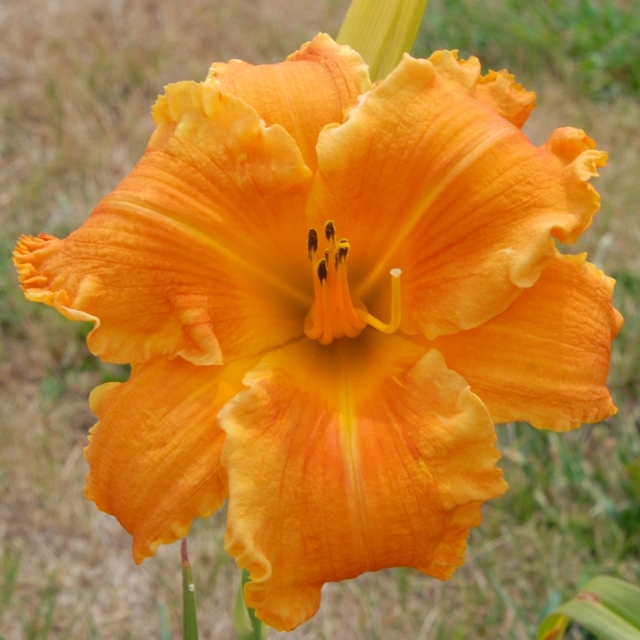 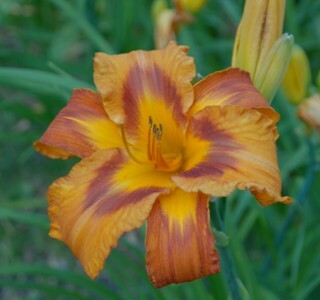 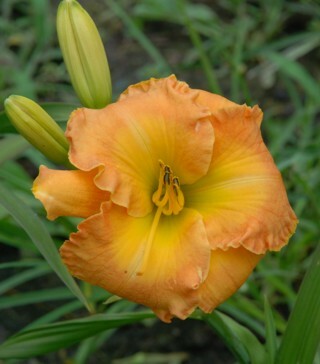 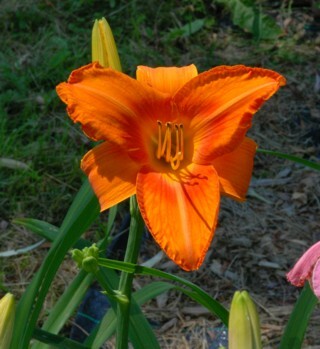 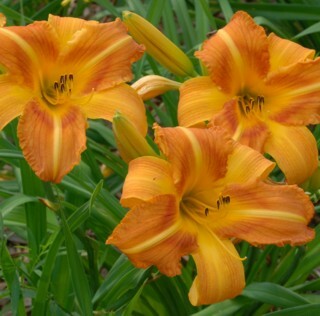 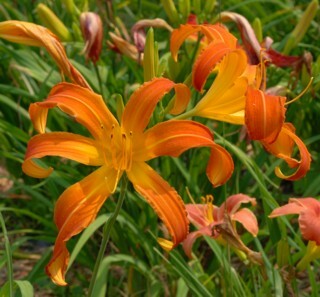 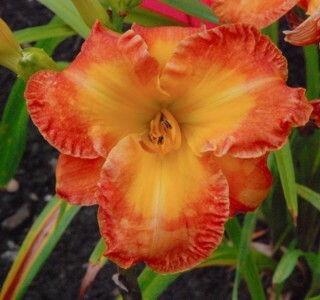 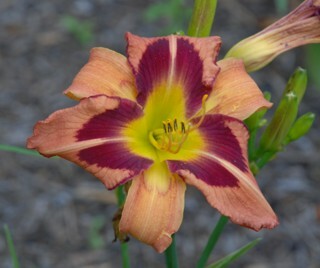 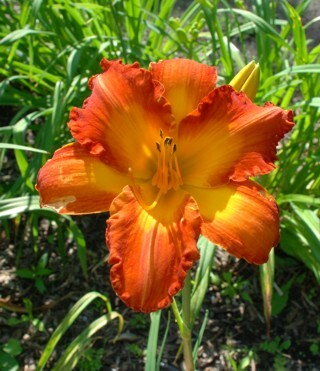 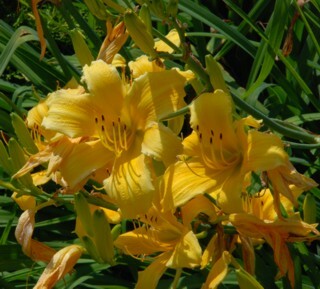 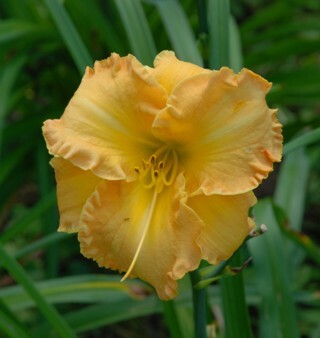 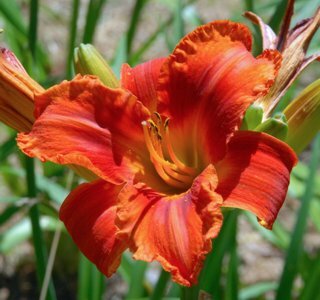 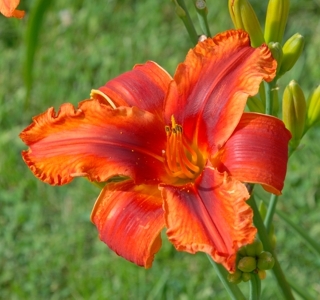 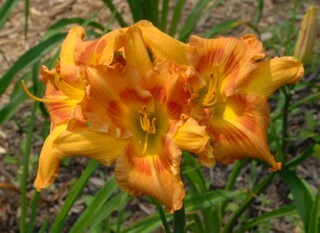 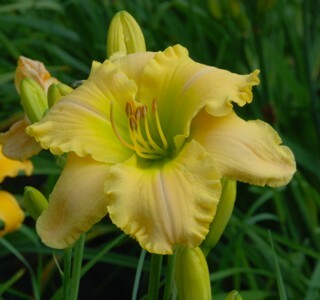 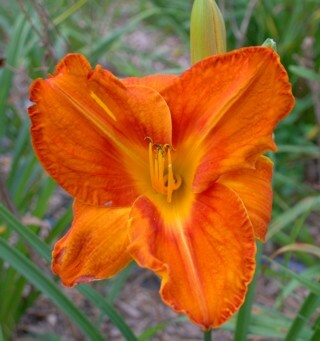 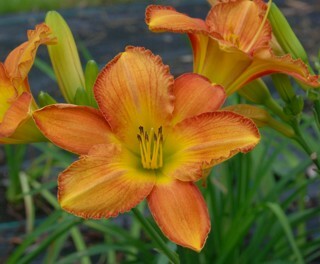 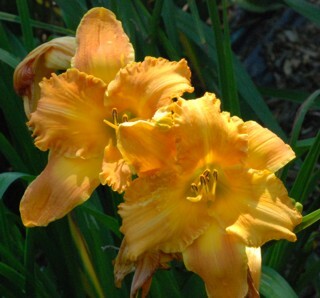 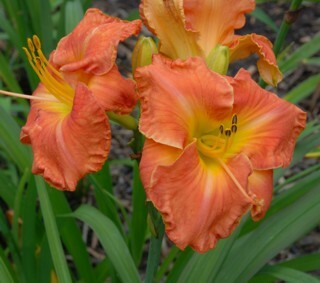 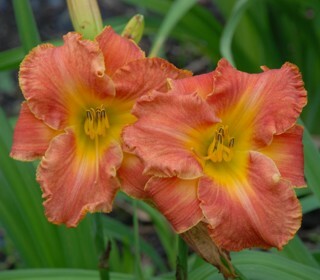 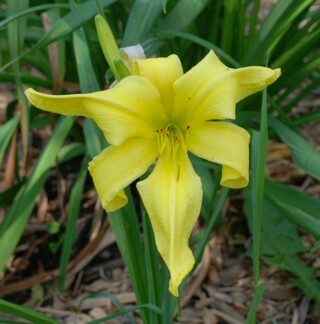 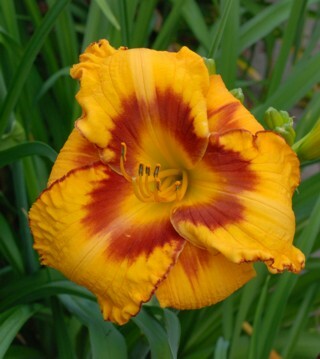 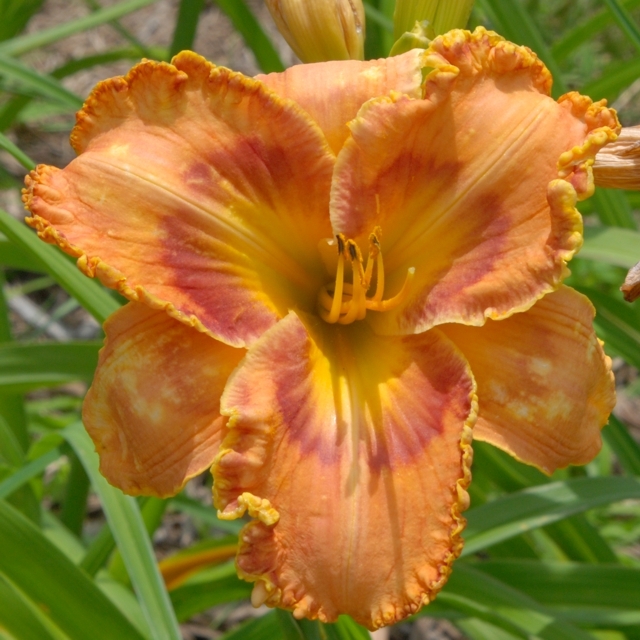 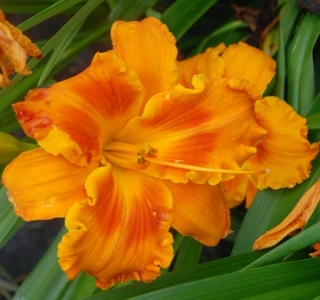 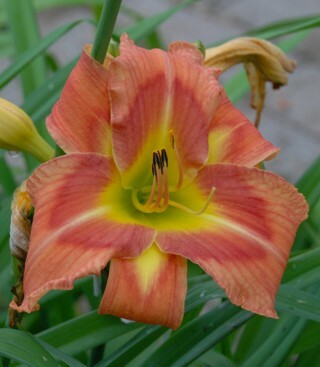 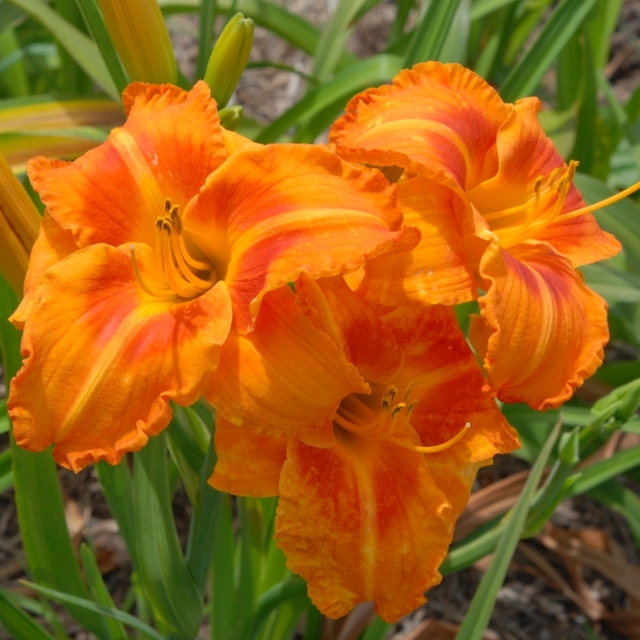 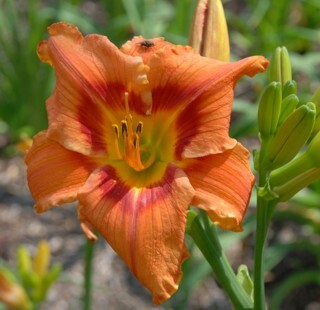 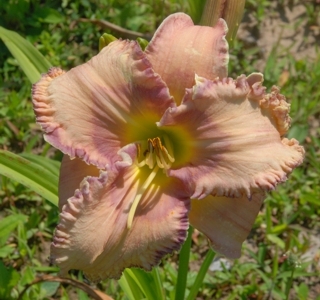 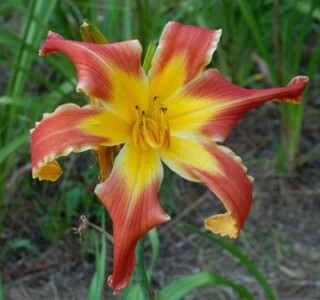 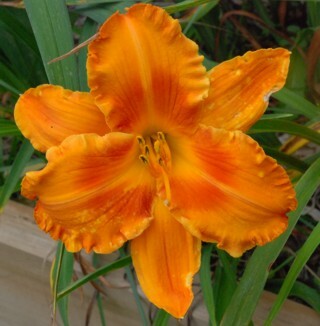 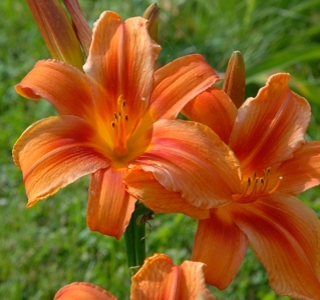 Ontario Daylily Society’s 2012 LYCETT AWARD WINNER – Best Unusual Daylily. 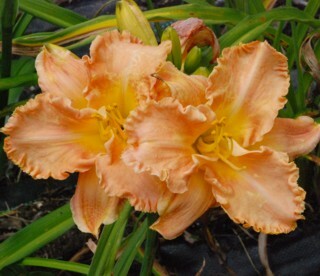 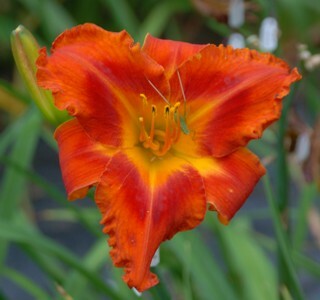 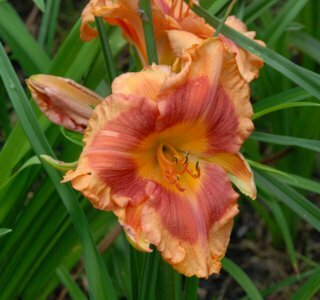 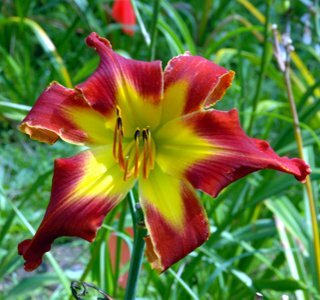 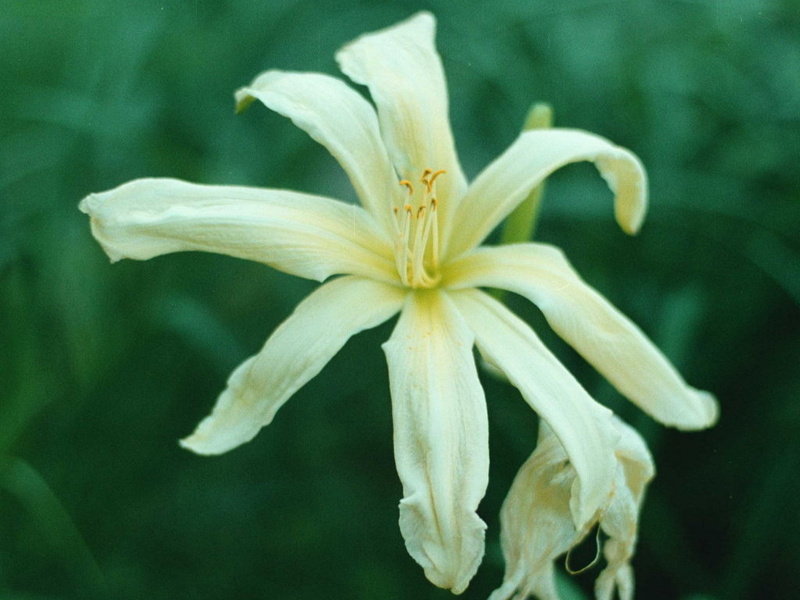 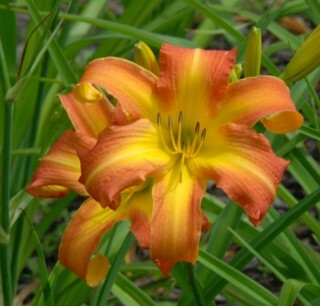 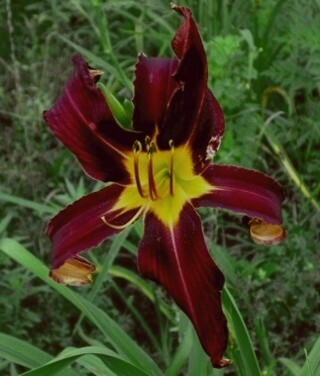 Ontario Daylily Society’s 2003 LYCETT AWARD WINNER – Best Spider. 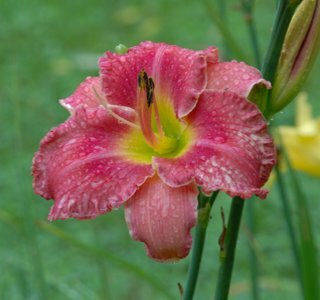 This 2013 Red Daylily produced 50 buds in 2016!